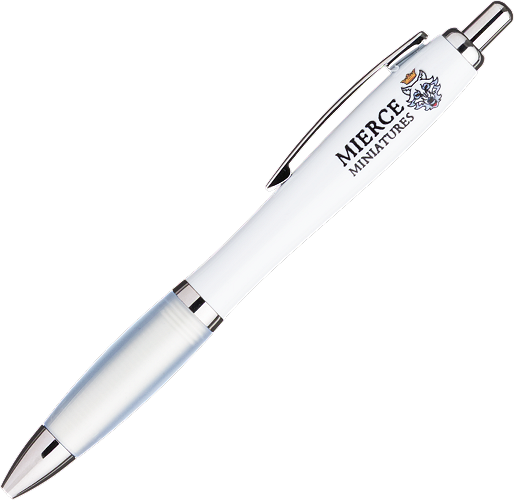 A pen such as the Mierce Miniatures Black Pen will definitely be required for your games of Darklands, even if just for noting down the effects of an invocation, how many wary tokens a general has, or indeed anything that doesn't need to be immediately recalled by a player. That way players can concentrate on their tactics! The Mierce Miniatures Black Pen writes in black ink and is a push-button plastic ballpen with a white rubberised grip and chrome trim.